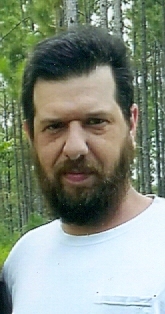 Mr. Robby H. Gasque, age 38, of the Toombs Central Community, died Tuesday, December 4, 2018, in Meadows Health, after a sudden illness. He was a native of Lexington, South Carolina, and lived in Toombs County most of his life. While in high school, he played the bass drum for the Redcoat Marching Band at Toombs County High School and the Vidalia Sound Tribe while at Vidalia Comprehensive High School. He was a former member of Marvin Yancey Volunteer Fire Department and the South Thompson Volunteer Fire Department. He was Baptist by faith, and was preceded in death by his father, Keith Gasque. Robby is survived by his parents, Betty and Bruce LeBlanc of Toombs Central; two brothers, Wes Gasque of Atlanta, and Sam LeBlanc of Lyons; two sisters, Melissa Surles and husband Steve of Metter, and Tiffany LeBlanc of Denton, Texas; one aunt, Debra Britt of Aiken, South Carolina; and five nieces and nephews. The funeral service will be held Friday, December 7th at 1:00 p.m. in the chapel of Ronald V. Hall Funeral Home with Pastor Chester Proctor officiating. Burial will follow in the Hardens Chapel Cemetery. Those desiring may make memorial contributions to the Marvin Yancey Volunteer Fire Department or the South Thompson Volunteer Fire Department.